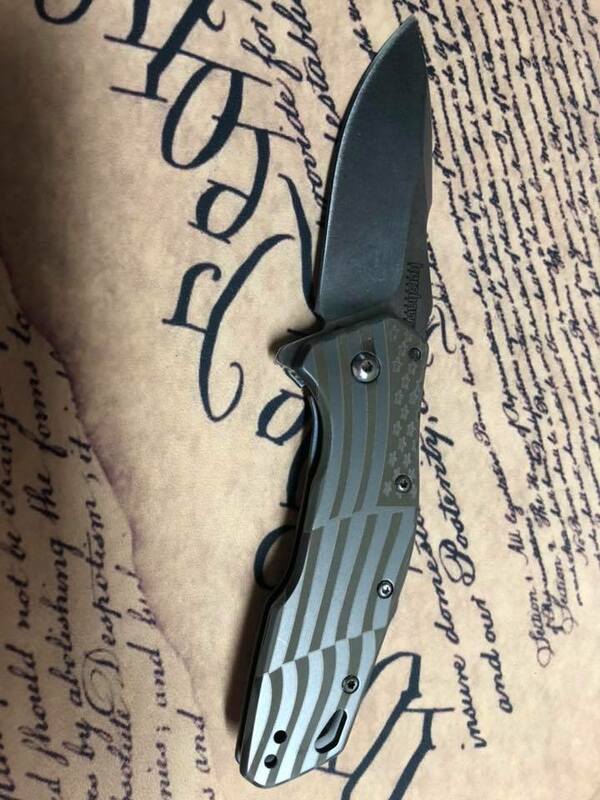 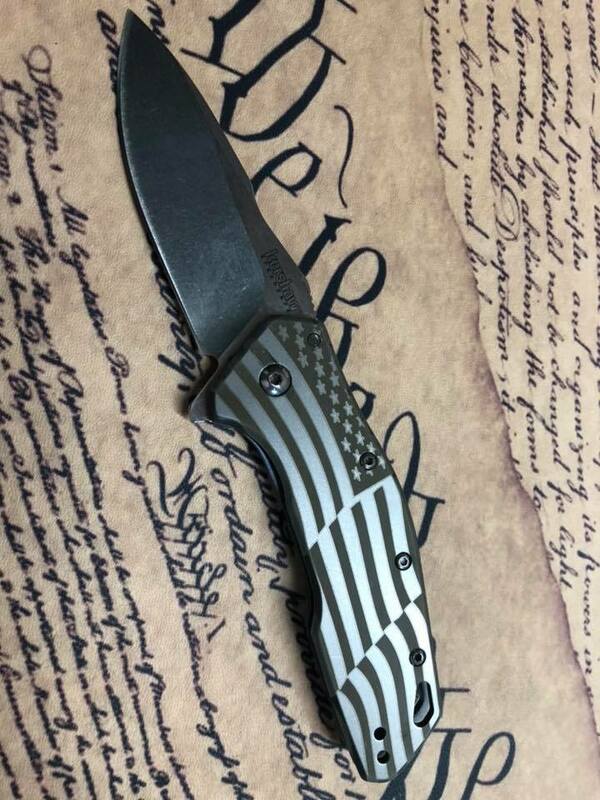 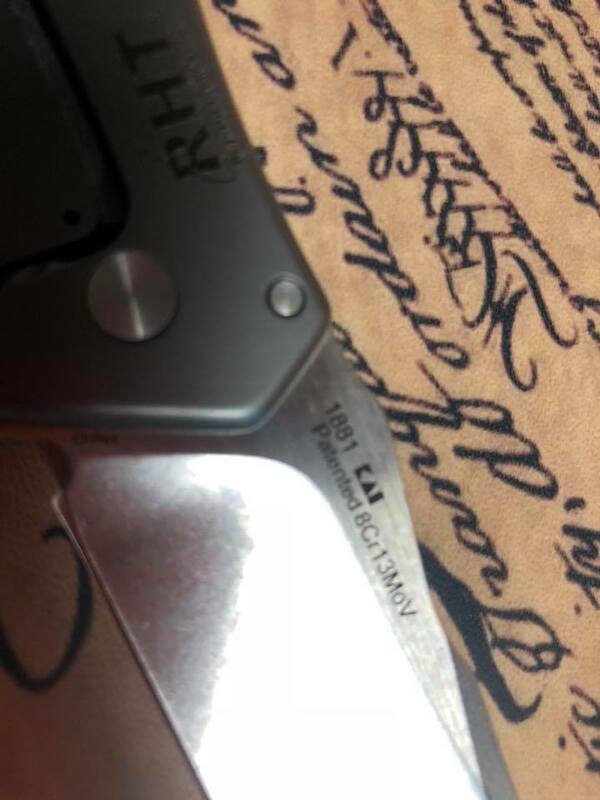 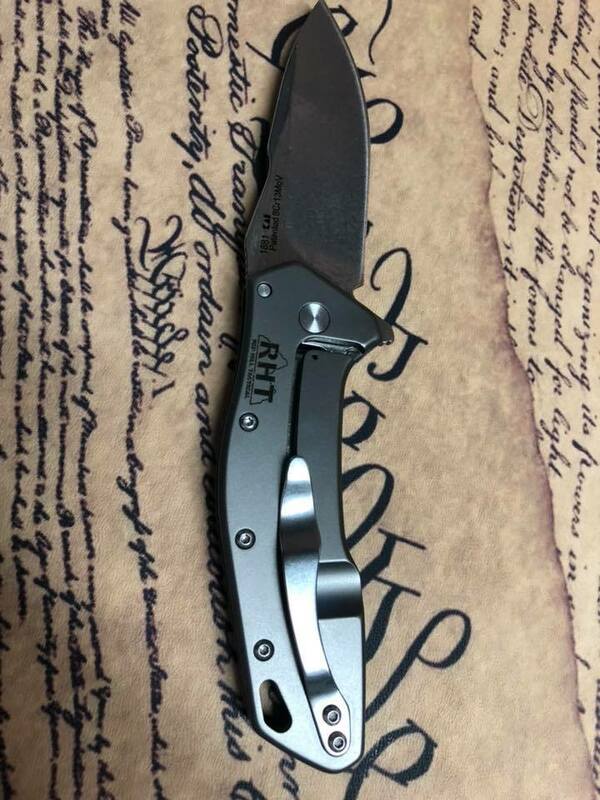 These knives are engraved by RHT with the American Flag on the show side, and the RHT logo on the back. 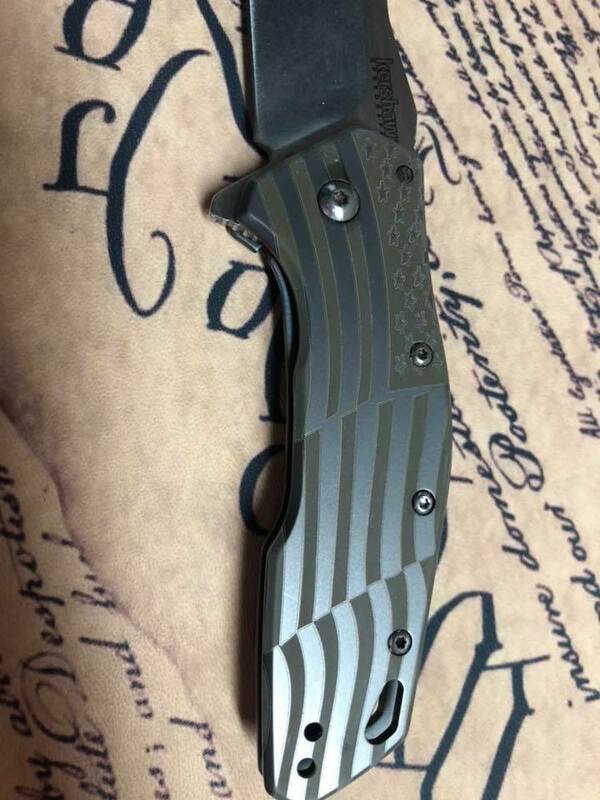 3" stonewash finish 8Cr13MoV stainless blade. 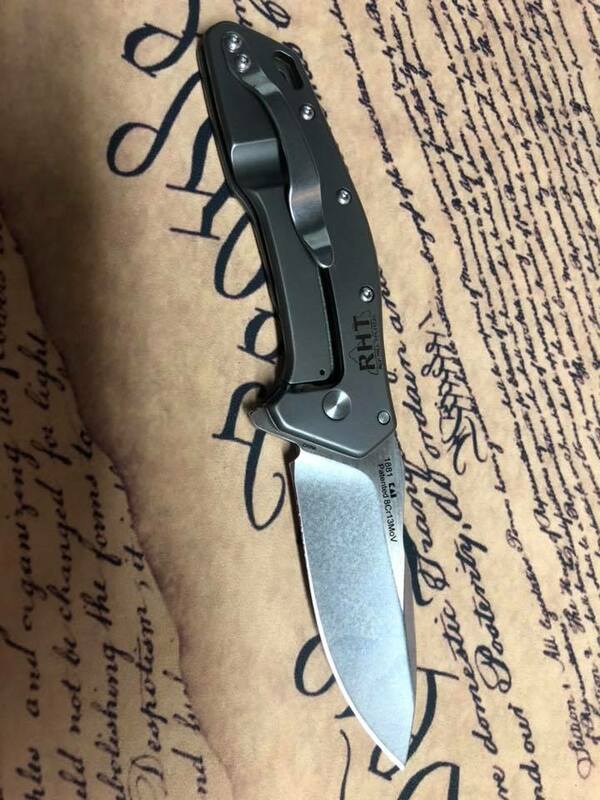 Gray TiNi finish stainless handle.